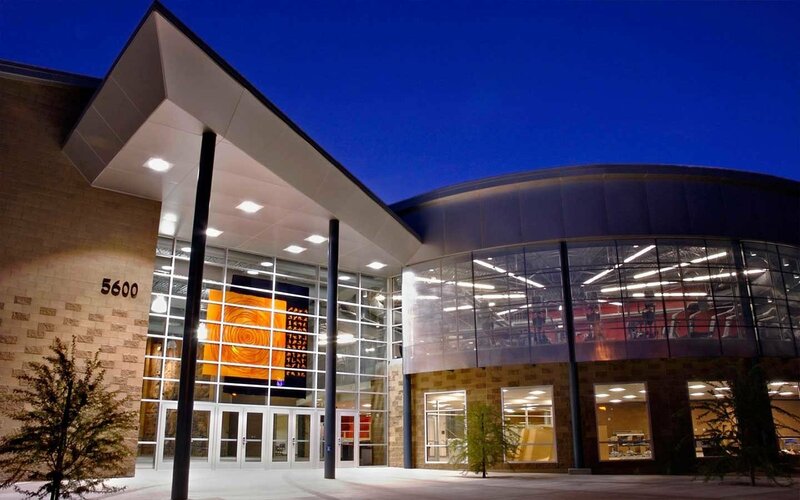 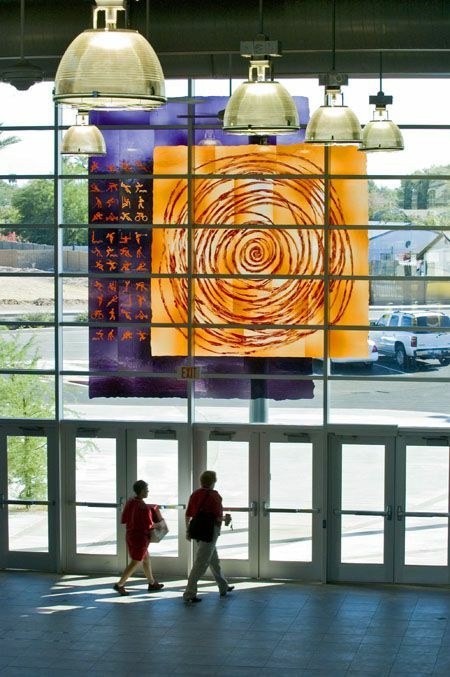 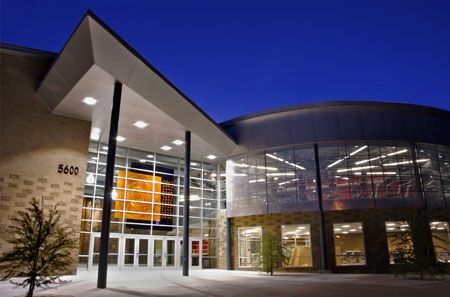 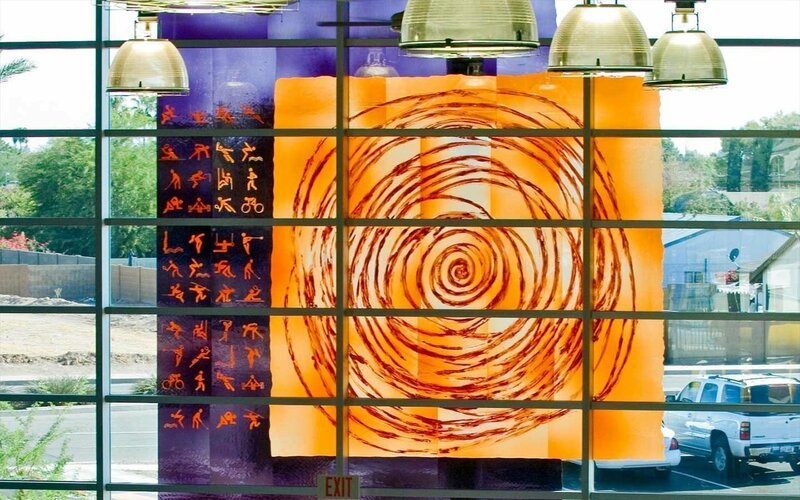 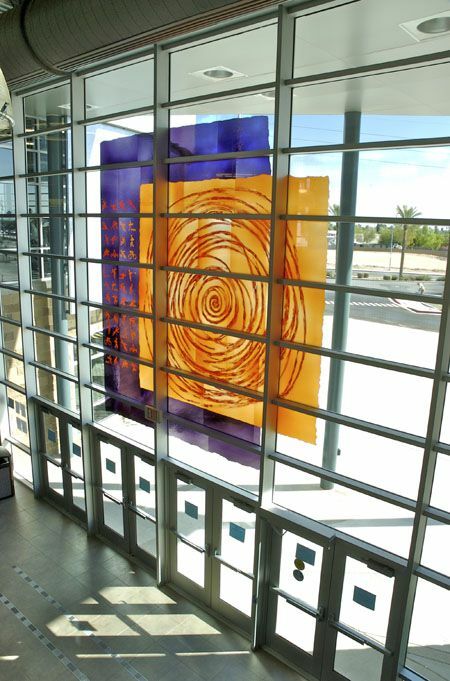 Incorporating energy and motion, Go, Go, Go by Gordon Huether adorns the Foothills Recreation and Aquatics Center in Glendale, Arizona. 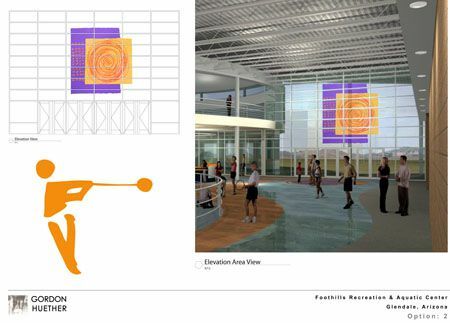 The Glendale Arts Commission, in collaboration with the City’s Parks and Recreation Department, selected Gordon Huether of Napa, California to create an artwork for the main entrance of the new Foothills Recreation and Aquatics Center. 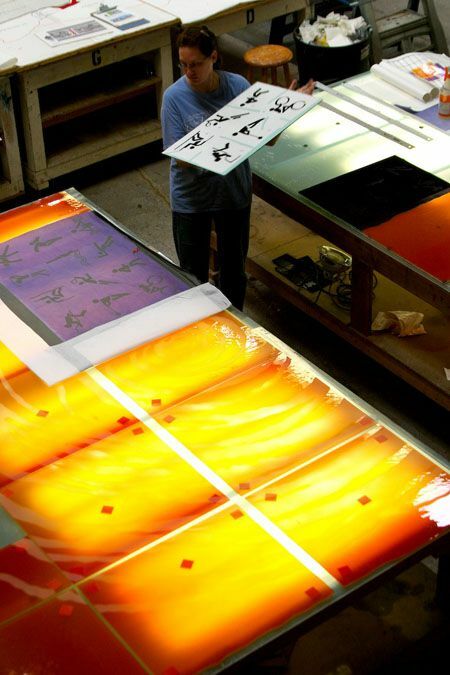 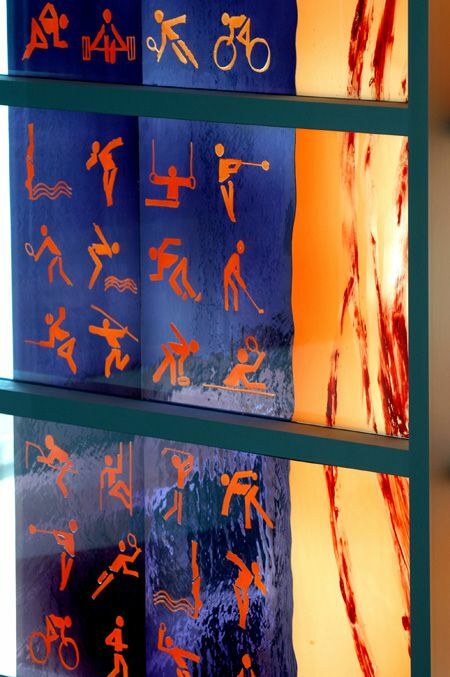 Go, Go, Go is made of etched and laminated mouth-blown glass imported from Waldsassen, Germany. 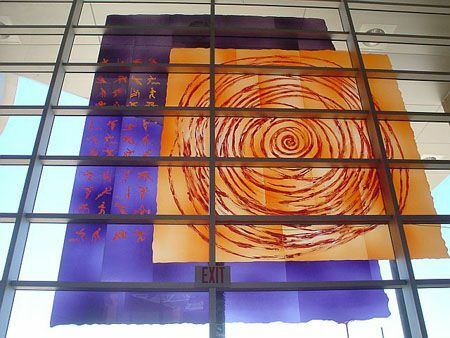 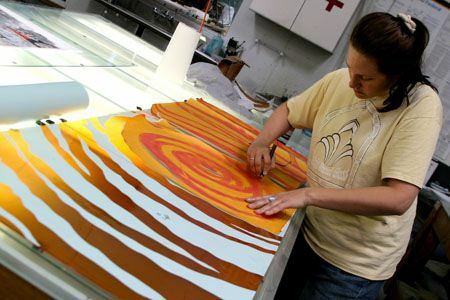 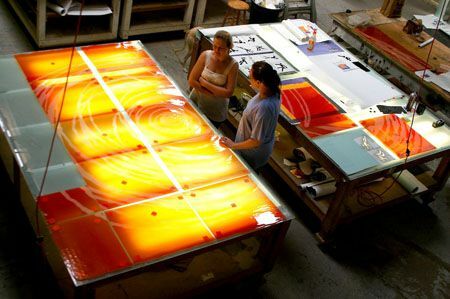 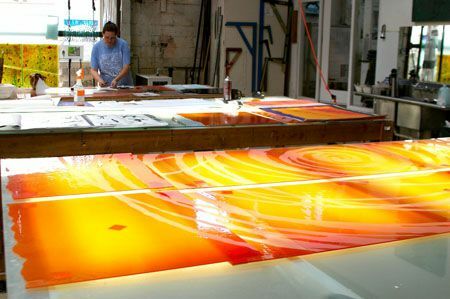 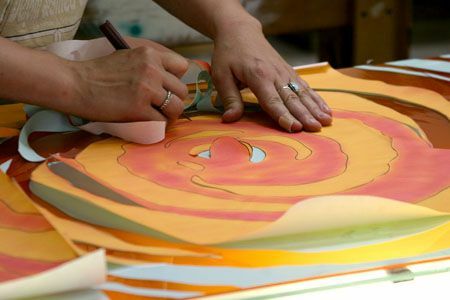 The piece is composed of 19 panels and spans the entrance at approximately 14 feet by 16 feet. 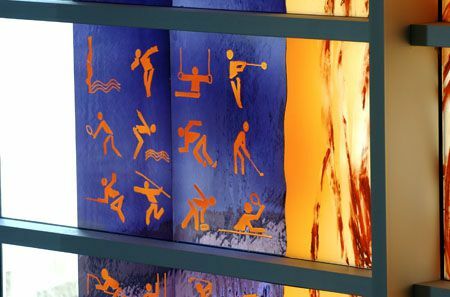 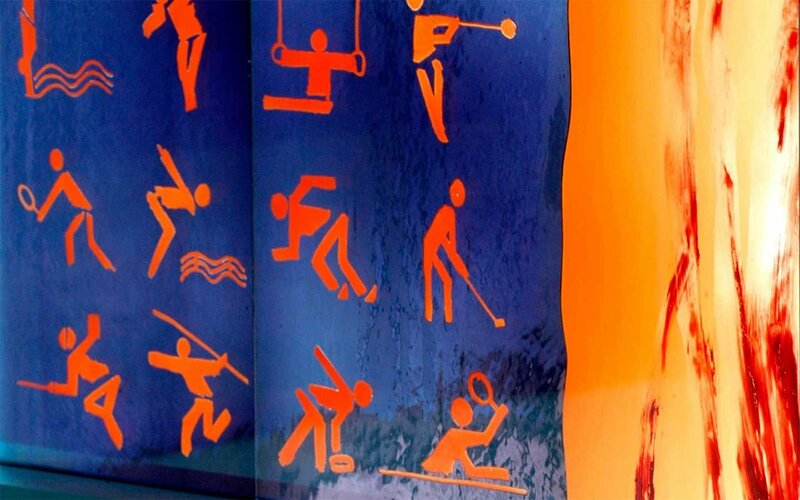 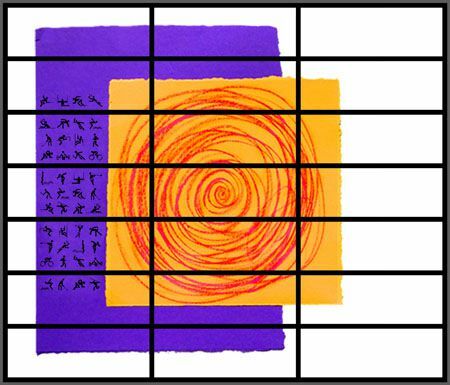 The imagery features hand-drawn international sports symbols that represent the various activities at the Center and announce to visitors that they have arrived at a place with a specific function.